Internet of Things projects attracts many beginners and students. Ability to connect physical objects to create an easy human experience is a tremendous achievement in its own. For any IoT project the choice of the software and hardware is a tough call. Where selection of hardware can be truly cumbersome, choice of a language to program IoT is also not an easy call. Here we list top 10 IoT programming languages you can get started with. Every programmer’s first language C is still one of the predominant languages. Its applicability to IoT projects is evident from the fact that it was developed to program telephone switches in first place. C can be used to program most of the advanced embedded system platforms either directly or through SDKs. 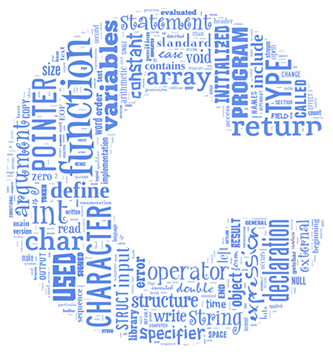 If you are a programmer chances are very high that you will already have some knowledge of the language to program in C. It will really easy for you to get started with this language and even if you are not familiar with C, it’s time you do. There are some down points of C which make it less preferable in today’s development arena like it is compiled not interpreted and comes with no GUI. Still C is a tough candidate for the IoT programming needs. Advent of object oriented programming (OOP) languages at one point put procedural languages like C, FORTRAN and COBOL to obscurity. While COBOL and FORTRAN made their mark as niche languages, C was able to set its foot hard in the OOP domain, thanks to Bjarne Stroustrup. He developed C++, an object-oriented pre-processor for C.
Additions in form of classes, objects and data abstraction were made to core C by its new pre-processor, this made C++ a preferred language for writing IoT code especially for Linux. Even after 30 years of its development, C ++ is going strong as a choice for embedded system programming. Python seems like an unlikely contender to program IoT projects but it is spreading across as an embedded control language. It is already one of the most widely chosen languages for Web development. It’s highly flexibility makes it’s fit for IoT world as well. From programmers perspective it is the high readability of the Python code which makes it suitable for programming teams. If you have ever tried to optimize someone else’s C code, then you will really appreciate the elegantly syntaxed, compact and readable Python code. As an embedded language Python like many others needs to be backed with enough juice in the embedded platform. With Python you can make any IoT application real the data, put in database format and respond to data in control information tables. No doubt Python is very strong IoT project programming language. With C and C++ it was very easy to control hardware. They made for very fast and efficient systems but were very specific to hardware. What about portability? Java came up as an object oriented language which was exceptionally portable. The Java compiler has very few hardware dependencies and Java uses hardware-support libraries from generic code to get control of hardware. You might not able to see the significance if you evaluate importance of Java for programming IoT from system efficiency point of view. However speaking of economical benefits it is a good investment to program IoT projects in Java to get paid from supporting many platforms. Additionally finding a programmer with great Java skills is not a problem these days. Only important consideration you need to make it that your choice of IoT platform should support Java and the available hardware support libraries should have control functions as per your requirements. Developed at Google, Go is lot similar to C as it is built on the language. However in many ways Go is superior to C as an embedded language. An IoT application built of sensors and actuators can make use of Go to gather and send data to various components through explicit hash tables. One important feature of the language is that, Go can allow excellent coordination of sensors as it can concurrently send, receive and process data on many different channels. However it ability induces a risk of data clash and loss of coordination if programmer is not careful enough. Unawareness of different channels about each other highly increases chances of “a bad thing” error. Mozilla developed Rust which is an open source language. It can be considered as a counterpart of Go, but provides solution of the one major drawback of the language. As the channels in Go don’t have a way to automatically share information this can result into a “race condition.” It is a situation in which a system falls out of control as different processes start working at odds with one another. There are inbuilt functions in Rust that can easily eliminate race conditions making it preferable IoT programming language for concurrent programs. For developing an IoT application with many concurrent processes Rust can be a strong contender. However some serious processing power will be needed in the IoT platform to work with Rust. If you are considering an IoT application with parallel processes, Parasail can be your choice. Before you start programming an IoT application it is important that you understand [glossary]concurrent programming[/glossary] and [glossary]parallel programming[/glossary] concepts. Learn more: Difference between concurrent and parallel processes. The syntax of Parasail is similar to Java, C# and Python. It is compiled object oriented language. For IoT applications demanding highly parallel embedded code, Parasail is the best choice. Most of the programming languages for IoT projects listed till now are developed for large systems and not specifically for small scale embedded programming. Most of these languages were forcibly scaled down to fit IoT application needs. On the other side B# is a language which was developed to be an efficient small sized embedded control language. You can run this language on multiple platforms using embedded virtual machine (EVM) that supports B#. The EVM takes only 24k of memory which is very effective for applications with small storage space. If you are considering development of an IoT application that will not be as complex as a Raspberry Pi then be free to choose B#. Assembler is viable option when you want to keep your application as compact as possible. Machine code based programming is used in Assembler which paves path for extremely optimized and minimal overhead execution. Thing about programming IoT projects with Assembler is that you have to go for it on your own. No, I mean literally you will hardly get any help from internet communities and there are no tools available. It may be possible to design efficient applications with Assembler but if you have enough resources in terms of power and space you should make use of modern day programming languages.